Courtesy A promotional image reminds Hoosiers that voice calls to 911 are usually preferred, but sending a text message can be best in some cases. INDIANAPOLIS – Between 500 and 600 times a day, a text comes into a 911 center somewhere in the state, and someone needs help. Such as a woman confined in her home and afraid to call the police texting an Allen County operator, who calmed the woman until police arrived. “She was being held against her will, and talking would not have been good,” said Ron Rayl, interim director of the Consolidated Communication Partnership operating 911 in the county. Or a Lake County student who texted 911 to say that a boy was threatening to expose pictures and videos of the student. By the end of the text session, police were at the classroom door. On another night in Bartholomew County, after an argument, a woman's husband was driving at dangerous speeds with her and their child in the car. The woman texted 911 and gave mile markers and car details so a police car could arrive and her husband would slow down. The operator encouraged her to delete the text thread and have a good day. 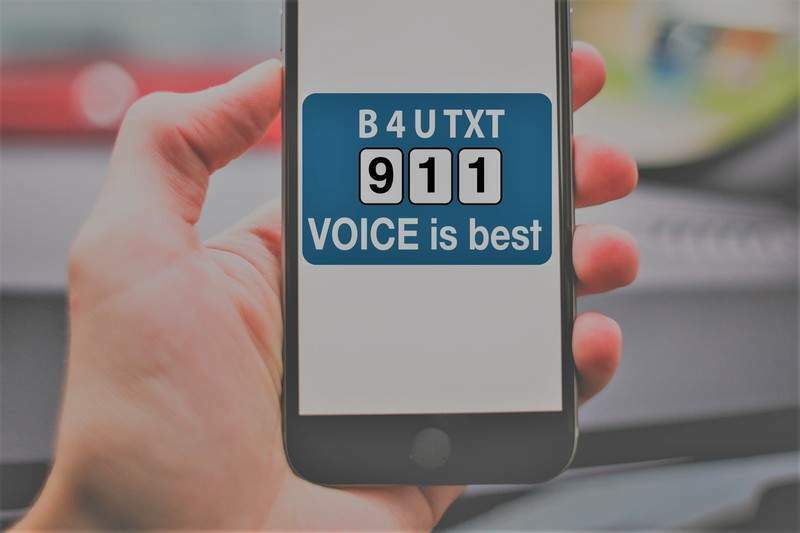 In four years, text-to-911 has been rolled out in all 92 counties and is exceeding expectations. “Indiana is the nation's leader,” said Ed Reuter, executive director of the Statewide 911 Board. He said authorities in some states have been worried that operators will be overwhelmed with texts, but experiences in other states show people are using it appropriately. Reuter says calling 911 is the first and best option. But texting is encouraged for callers who are deaf or hearing- or speech-impaired; for a callers who are otherwise unable to speak because of a medical condition such as a stroke; or in situations where speaking would be unsafe, such as during an abduction or home invasion. He said about 11 million calls came into 911 centers in Indiana last year, which includes some non-emergency calls. On top of that were 14,782 inbound texts. In Allen County, about 650 inbound texts came into 911. But the most interesting part is the number of texts being initiated outbound by 911 operators. Reuter said Indiana is the only state with this capability. He said most 911 calls come from cellphones, so when a county gets a disconnected or dropped 911 call, operators send out a text to that number to see whether there is an emergency. Most are simply accidental dials, but on some occasions there is an ongoing domestic violence situation, and Rayl said it's easier “to sneak a quiet conversation in” if someone needs help. There were more than 152,000 of those statewide last year, including 8,326 outbound in Allen County. The operator told the person she has felt like that before and asks where she is. The person said at home, and the operator verified the address. Mark Grady, president of INdigital in Fort Wayne, said the outbound capability was also built first to get operators used to the technology. His company has created the platform and continues to refine it. He said sometimes after a hangup, the operator will call back and tell the person to hit a key if they need help but can't talk. Then the operator hangs up and instead texts them to help. Rayl said the next step is to determine whether 911 can accept pictures and videos. Those create storage challenges and evidentiary concerns if the images would later be used in criminal prosecution, he said.